Moving to San Diego almost 6 years ago and going to my first event at Comic Con I was overwhelmed! There were people everywhere most dressed up as some pop culture hero and bumping into me from all sides. I currently live in the Gaslamp which is headquarters for Comic Con so I do feel I know a thing or two about the topic. It is a fun time to be in San Diego if you know what you are getting into before you go. 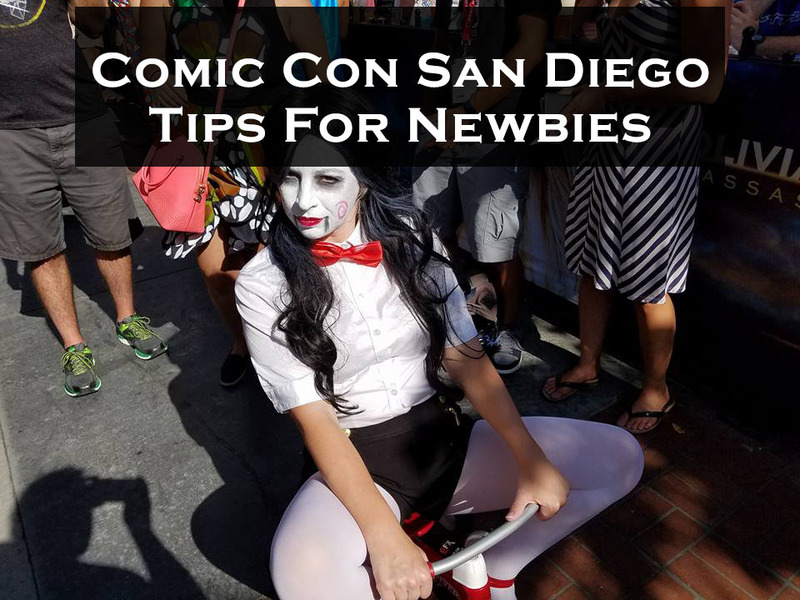 Below are 5 tips to help you out your first time in San Diego for Comic Con. Know where you are going ahead of time and get there early! Whether you are going to something at the convention center, a pop up shop, or a party get there early. 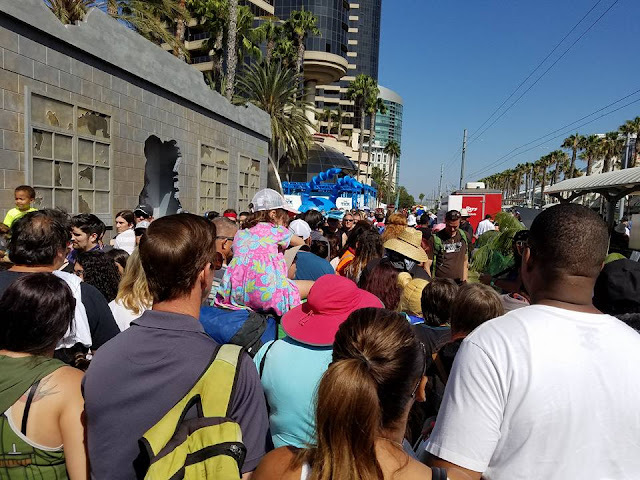 Lines are something you will have to endure during Comic Con but if you go early you will have less of a wait and will feel more relaxed and have a better experience overall. Budget at least $15 a meal. Most of the restaurants will have a breakfast special and a lunch special somewhere between $15-$20 for a buffet. There is a Ralph's downtown that you can pick up a bunch of stuff to make your own meals as well. Have water! I know people hate to use water in bottles these days but I recommend getting a 24 pack of water because it gets hot and you will need something and getting in line to get a bottle of water could take forever. Take 3 or for bottles with you if you are a big water drinker everytime you leave your hotel. 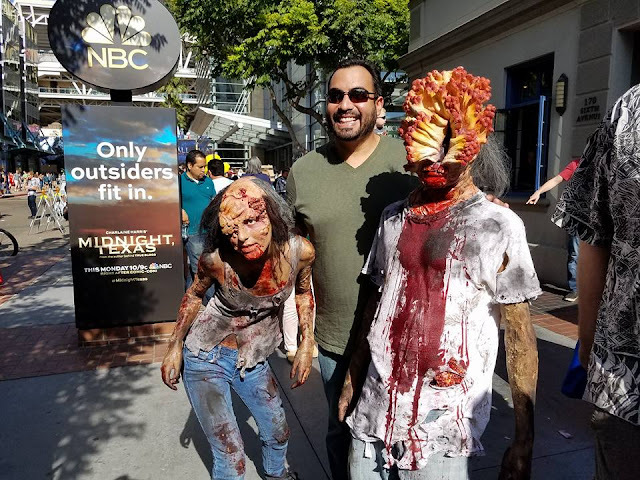 Remember that Comic Con is in a busy city and people actually live downtown where you are and being respectful of the downtown community is a must. Please do not throw your trash on the ground or yell and scream on the streets at 3am. Take advantage of all the free offsite Comic Con events and free food events. You will need to some research online before you go but you might be able to find at least one meal a day for free! Overall, plan before you come to Comic Con and life will be easier then just coming and saying "what now?" Websites will start getting info up with information in April and then really start picking up in May so happy planning and have fun during Comic Con 2019.